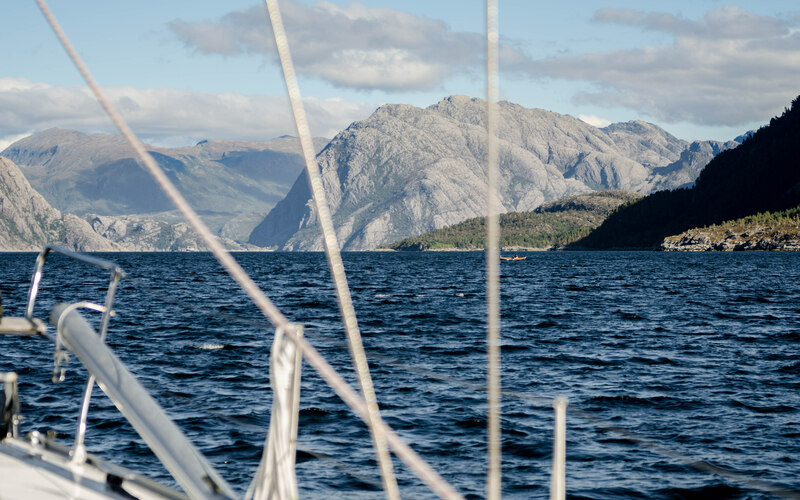 The rugged mountainous coast, deep fjords and numerous small islands, rocks above and below water making navigation a true challenge – this is something you can expect when sailing the west coast of Norway. It’s a truly terrific landscape as well as invaluable sailing experience. 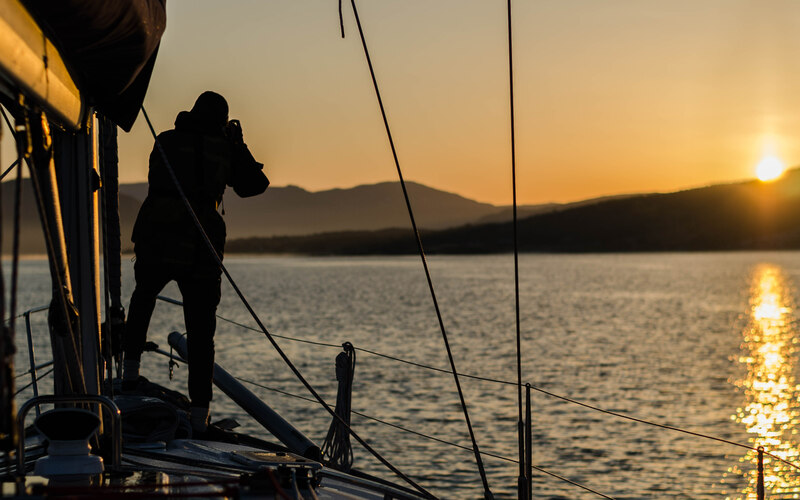 The experience that a sailor – Tobias Ekstrand – has just recently had. „I had only been sailing as a kid in the archipelago of Stockholm and ever since been thinking about taking it up again. Three years ago I did just that when I moved to Tromsø in northern Norway. First time sailing I was captivated. It was all sun, just enough wind, and snowy mountaintops all around. This was way beyond my expectations. This had to be shared, I needed a boat of my own. 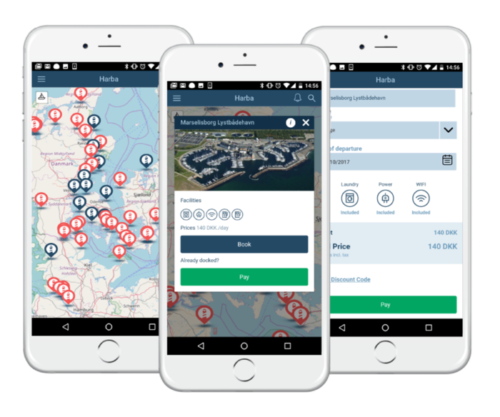 So, in the end of August this year, all preparations were done, and I was about to go to Oslo to pick up my first boat and sail it home to Tromsø. 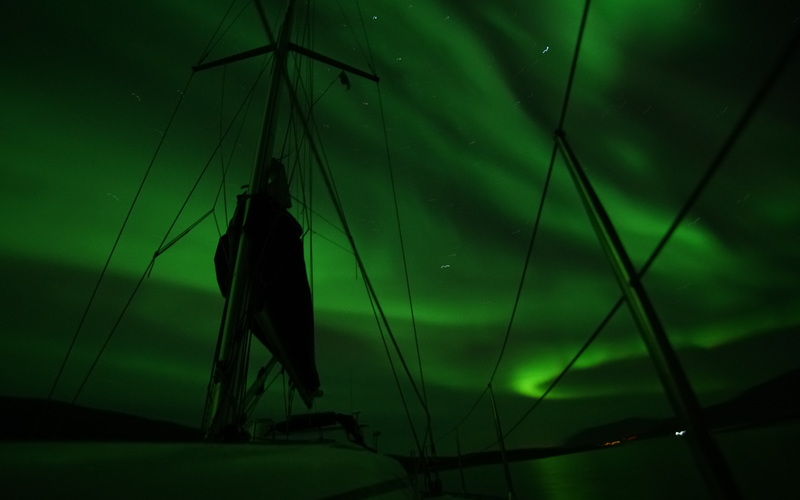 The trip took about 22 days, we sailed only when the sun was up, and we reached Tromsø in the end of September. The first week going to Kristiansand we got a good feeling of how harsh the weather can be. We were accompanied with mostly heavy winds and rain along with waves bigger than any I’ve seen before. Also, nature was cold and hard, rocky small islands with no plants and treacherous shallow stones everywhere. This was not the archipelago I had seen as a kid, and I loved it from the start. The treacherous shallow stones now looked as minefields on the plotter, and fast changes in weather made it too unpredictable to go far out. Furthermore, the intense first week then developed into a bit calmer sea, but with even harder passage planning. The treacherous shallow stones now looked as minefields on the plotter, and fast changes in weather made it too unpredictable to go far out. But, nature kept our mood up all along, with now bigger mountains and proper fjords, and the occasional curious toothed whale. Last week of the trip, we got everything we could have hoped for. Amazing sunrises in the morning, sunny weather with almost no clouds, big mountains and fjords covered in autumn colours, and spectacular northern lights in the nights. I couldn’t be happier about this trip and what I and my friends have gotten the opportunity to experience.